Vivek Oberoi, besides his films, also takes out time for philanthropic work, especially the ones he passionately believes in. He is now in the process of putting together a fund raiser for the education of poor girls who have been rescued from child trafficking, domestic violence and prostitution. 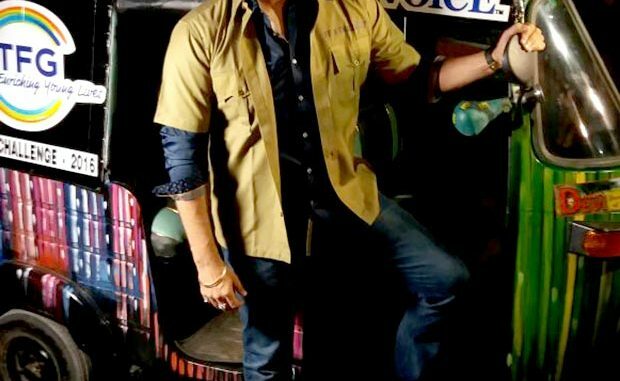 As a part of the initiative, Vivek Oberoi is putting together an auto rickshaw rally that flagged off in Mumbai today and will end at Kanyakumari. Not only did Vivek inaugurate the event in Mumbai but he will also ride one himself for a certain distance. The rally involves volunteers participating from across the country. Last year a similar event was organized, where volunteers and participants trekked at Mount Kilimanjaro and turned out to be a great success with several NRI sponsorship and donations.